Keep checking back at this post, we'll update with images, and text! 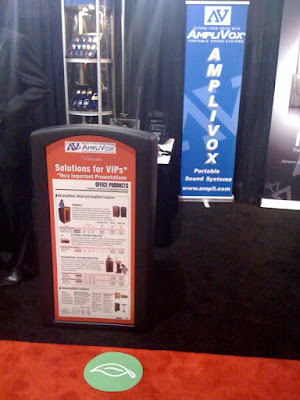 Post # 1: "Amplivox is striking it's booth for the Grainger Total MRO Solutions National event in Orlando. Over 4000 attendees arriving throughout the week. 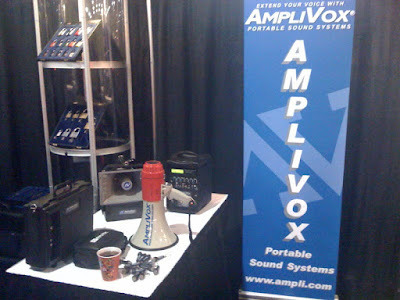 Amplivox will be featuring it's Safety, EP and Presentation products." Image #3: Dave Flora Showing us the Green Icon for our Pinnacle Podium Made from Recycled Materials! Reduce, Reuse, and Recycle! 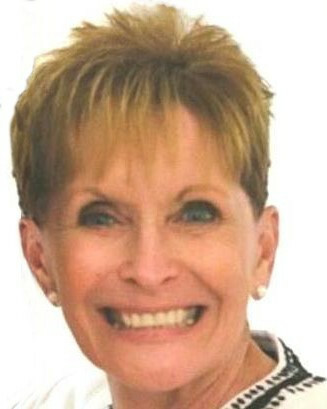 "I am a master level starter for NCAA track and I use 2 Half-Mile Hailer Kits for the staggered starts. With a speaker for every 2 lanes, I don't have to shout the starting commands. Even when the runners are stretched out around the curve, I can literally just tell each runner "on your marks" and "Set." The sound quality is excellent and my addition of the wireless mic this season will make it much more convenient. You make a great product. 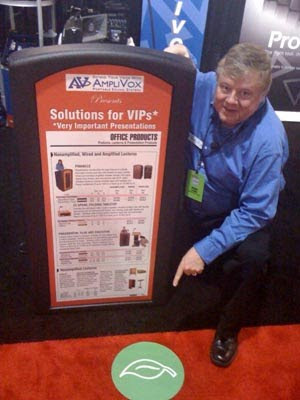 Thanks"
Larry needed to project his voice above all the ambient noise from the crowd in the stands, the PA speakers for the crowd, and other outside noise that interfered from communicating his message clearly, so he turned to Amplivox Portable Sound Systems. 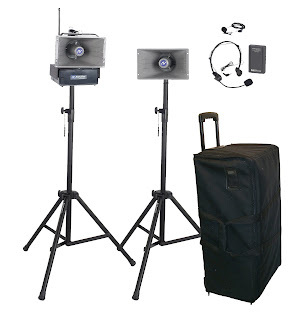 The Half-Mile Hailer PA Speaker System is a great product for track and field meets at any level: at the college and university level, at the middle school and high school level, and for track and field events like the Special Olympics. They can also be used for an indoor track meet or an outdoor track meet. 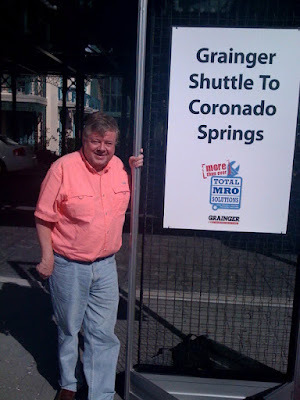 (Click on the link to see how Amplivox helped the Special Olympics of Washington). 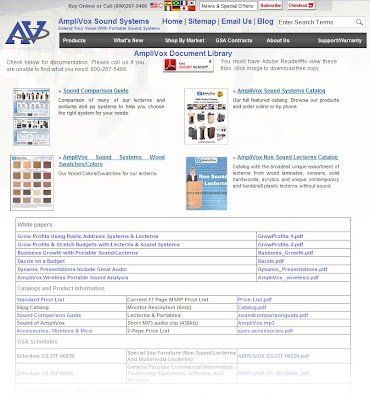 For high school track and field equipment and supplies for coaches like outdoor PAs or like professional outdoor lecterns/podiums, turn to Amplivox Sound Systems.